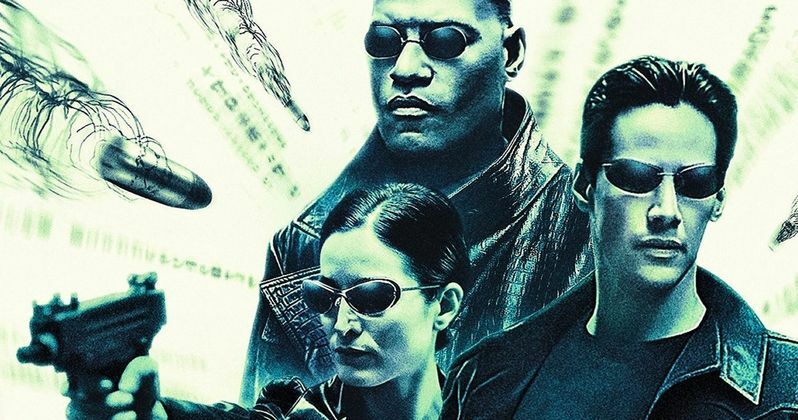 Bullet time, trench coats, red pills / blue pills: the Wachowski siblings changed the game with The Matrix, the sci-fi action thriller that blew our minds in 1999. Here we'll take a look at 10 things you never knew about The Matrix. The Chicago-born Wachowski siblings got their start in the comic book world, writing stories for Hellraiser creator Clive Barker's Razorline imprint at Marvel. The first Wachowski script to get made by Hollywood was Assassins. It was directed by Richard Donner and was so heavily rewritten they tried to have their names removed. The Wachowskis definitely wanted to direct The Matrix. Producer Joel Silver was blown away by the script but knew the studio wouldn't have confidence in the unproven duo as directors. So he suggested they make something smaller first. So the duo wrote, directed, and executive produced the neo-noir thriller Bound. NEO, of course, is an anagram for "One," as in the Chosen One of the Matrix cinematic universe. In perhaps the best known tidbit of almost sci-fi casting, Will Smith was offered the role of Neo, but passed and made Wild Wild West instead. What's lesser known is that would-be Superman Nicolas Cage was also presented with a formal offer, which he declined. The studio approached Brad Pitt and Val Kilmer. The Wachowskis were interested in Johnny Depp. Other stars said to have been on the short list at different points include Tom Cruise and Leonardo DiCaprio. Would be Neo Will Smith's wife, Jada Pinkett, actually auditioned to play Trinity. During a 2015 appearance on Howard Stern, she said she wasn't cast because there wasn't enough chemistry between her and Reeves. The Wachowskis did like her 'though of course and found a role for her in the movie's sequels. Gillian Anderson was offered Trinity but turned it down. Incidentally, her longtime X-Files costar, David Duchovny, is another of the actors who was at one point considered for Neo. Or is that "Morpheuses"? Laurence Fishburne wasn't the only one who might have guided the One as Neo's red and blue pill offering warrior mentor. Among those also considered: Russell Crowe, Sean Connery, Samuel L. Jackson, and Gary Oldman. Legendary Hong Kong stunt coordinator, martial arts master, writer, director, producer, and actor Woo-Ping Yuen, born in China in 1945, didn't want to make The Matrix. Even after he read the script and liked it, he purposefully asked for a massive fee thinking Warner Bros would refuse. But the studio said yes. Next, he tried another seemingly impossible demand: he insisted on full control of all the fight scenes and a four-month training period for the main cast. The Wachowskis agreed. The famous red pill/blue pill decision isn't the only bit of color-coding happening in The Matrix. Every scene that takes place within the Matrix itself is tinted green. The real world scenes are tinted blue. The training sequence where Morpheus squares off with Neo is tinted yellow, as it takes place in neither of the other two worlds. Given the whole computer simulation plot and the groundbreaking bullet time effect, it comes as something of a surprise to most fans to learn that the breathtaking lobby shootout scene is virtually devoid of CGI. It's all practical effects, which took ten days to shoot. Even the bit of marble that collapses in the wide-shot of the aftermath was real, so real in fact, it wasn't even planned. Thankfully, it was kept. Keanu Reeves lost 15 pounds and shaved his entire body to achieve the emaciated look we see when Neo first wakes up in the real world. The scene where he's unplugged from his pod and flushed into the lake was the last scene filmed. The Wachowskis continued their relationship with the comic book medium in the years after The Matrix, with their Burlyman Entertainment comic company and their participation in the film adaptation of Alan Moore's V for Vendetta. What's perhaps lesser known is the connection between The Matrix and a cult comic series called The Invisibles - a connection that's homage, inspiration, or rip-off, depending on one's point of view. The similarities - the plot, the characters, several scenes - are undeniable. Invisibles creator Grant Morrison has said he enjoyed The Matrix. But when asked about its sequels, he replied, "They should have kept stealing from me."